Welcome to the icelolly.com Influencer Hub, your one stop place for anything you need to know about working with icelolly.com as an influencer. 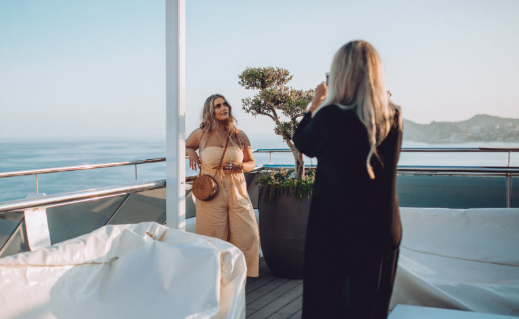 Whether you’re a blogger, a YouTuber, or someone who knows what they’re doing when it comes to Instagram, here’s the place to find out more information about everything we have to offer our influencers, such as Blog At The Beach events, influencer stays, Instagram takeovers, Twitter chats and more! At icelolly.com, we understand the value of working with influencers, and have been doing so for quite some time. We also know that you guys love to travel and go on holiday. With both those points in mind, we don’t just want to work with you on one project, we want to build a relationship with you; we want to be your buddy, your bae, your bestie and build a solid foundation for collaborations that will take you to amazing places to create amazing content. WANT TO KEEP UP TO DATE WITH UPCOMING OPS & NEWS? If there’s one thing travel influencers know, that’s how to make the most of a holiday! With this in mind, we want to help you take that to the next level by sending you on a trip whilst you’re on your next getaway. Each month we send a handful of influencers on an exciting excursion, so if you'd like to apply for one just fill in the linked Google Form below and we'll be in touch! Blog At The Beach is our bi-annual event where we invite you to come and spend an afternoon with fellow influencers and some of the icelolly.com team. 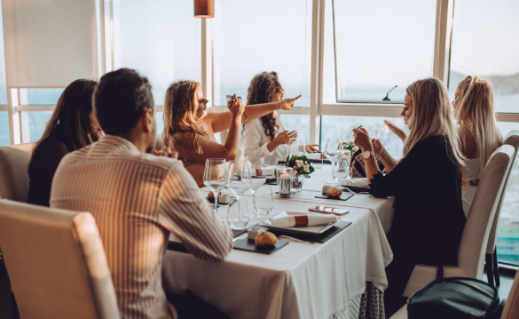 We have 3 speakers at the event so that you can pick up some tips to improve your skills in the blogging world and there’s always plenty of food and drink – because what's a party without a tipple or two! Take a look at our Blog At The Beach page below if you want to know more about our past events or if you would like to come along to the next one! On 7th July 2018 we will play host to over 200 bloggers & influencers for our 6th Blog At The Beach event. With an event schedule packed with games, competitions and plenty of sunshine it's going to be an event not to missed. On 13th January 2018 we hosted our 5th Blog At The Beach event in Leeds. We welcomes 84 bloggers from all over the UK to help us party in our very own ski lodge. We know you guys love jetting away to gorgeous destinations and we love sending you there! 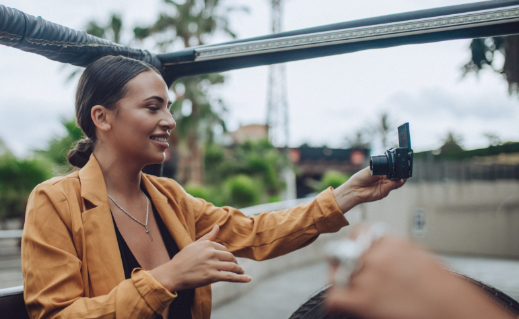 Over the past couple of years, we’ve sent influencers away to places such as Amsterdam, Corfu, Cyprus, Ibiza, Mexico, and the Dominican Republic. We’re really looking forward to doing more of these influencer trips in 2018 and we can’t wait to get you involved. 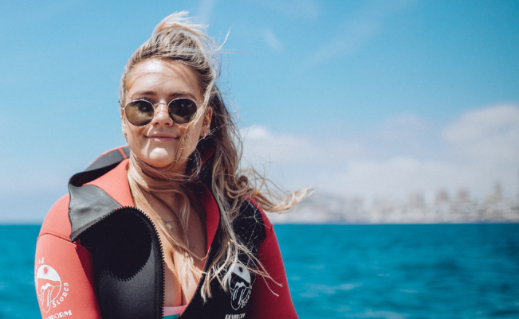 You can check out some snaps from our recent Benidorm campaign below, and if you want to be on board with us in the future, just drop us an email or keep an eye out on this page for new opportunities! Although we wish we could, we can’t be on holiday all the time at icelolly.com. That’s why we love having you do takeovers on icelolly.com’s Insta! You show destinations through your eyes and we’ve recently had takeovers from Berlin, Sydney and Paris! If you like the sound of doing an Instagram takeover, let us know where you’re going on your next holiday and that you want to be involved! We’ve been all over that Pinterest hype lately and we love pinning your blog posts and vlogs. We have a dedicated Pinterest board for pins from our Influencer Hub and often do shout outs for pin links. If you're interested in checking out some new content, then look no further than our board below! On the first and third Wednesday of every month, we hold our Twitter chat. We’re always talking about different subjects – all holiday and travel related, of course! – we love having a natter with you all. If you want to join in next time, come find us at #HolidayChat at 8pm on the first and third Wednesday of every month! We want you to be the first to know about any opportunities we have at icelolly.com. We'll post what's coming up on this page and you can always drop us an email if you’re interested in collaborating with us. Also, our monthly blogger email is the best way to get opportunities delivered straight to your inbox. We send the email out towards the end of every month and any time we’ve got some exciting news to share with you! Sign up below to be involved! Want to keep up to date with upcoming opportunities? Sign up to our blogger mailing list!